8,000 White Matte Return Address Labels, 1-3/4" x 1/2"
Label Size: 1/2" x 1-3/4" - 0.5" x 1.75"
Not Made by Continental Data Labels. Label Outfitter's Brand. 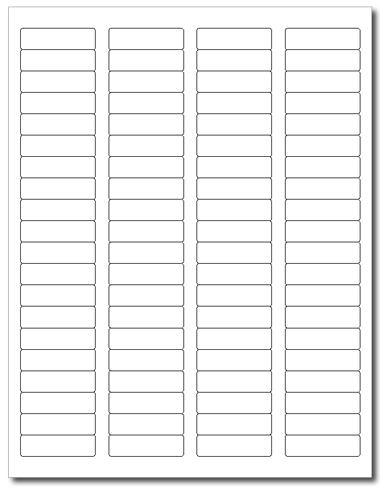 1,600 Label Outfitters® Blank Printable Return Address Labels, Laser and Inkjet Printable, 80 Labels per Sheet, 20 Sheets, use Avery® 5167 Template Made in the USA!